How does one combine aspects of one’s own autobiography with the biography of a beloved pet dog and also, an immigration story? It’s a challenge of course, but then, creativity is always about challenges – about stretching an idea in many unexpected ways with the hope of discovering the potentialities that lie within. 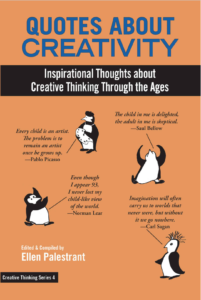 Creativity is about seeking and originating something new. For my book, PRETZEL ON PROZAC, I decided to house it in a new genre – an autobiodography. Why did I write about my little pet Bichon Frise? I think it was because he both moved me and amused me. Plus Pretzel had a story to tell – if only he could have. I imaginatively penetrated his emotions and combined aspects of my own immigration story with some of his biography – especially the aspects of him I found both humorous and poignant. I did not want to anthropomorphize him but to some extent I did. I feel that when people have deep connections to their pets, a certain amount of anthromorphism becomes part of the actual caring – and the fun. 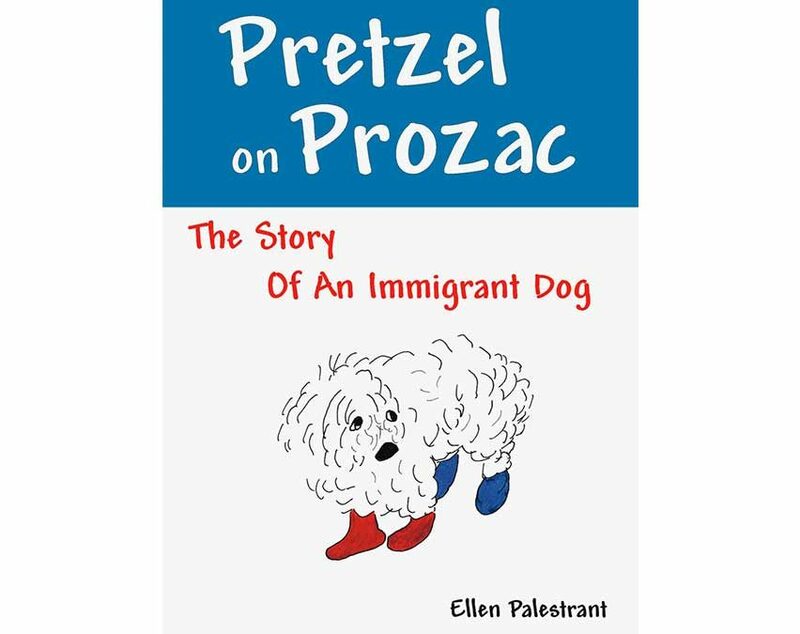 Then there was the combining of Pretzel’s story with that of an immigrant’s. With a world so much in flux and the personal stories of immigrants, migrants and refugees barely surfacing amid the mass exodus of so many people, we all too often forget about the animals left behind. However, sometimes accompanying the fortunate individuals who have the opportunity to adjust to new homes in new lands, there are the lucky pets they brought along. Immigration is about RE-CREATION and adapting to new circumstances, environments and realities. We all are immigrants throughout our lives as we adjust to the vicissitudes of changing circumstances. Even if we don’t immigrate to another country, we do immigrate to different stages in our lives and that takes adjustability – a very necessary quality we either have or need to cultivate. Nothing is constant; life changes for all us, at times slowly, other times dramatically and irrevocably. Things are seldom static and we need to be flexible. Pretzel wasn’t. He could not accept change. Creativity is about the acceptance of change. This happens even in the development of a story one is writing where the characters might take you to a situation you had not intended. It can happen while painting: something unexpected emerges on the canvas and you are veered off in an unexpected direction. One idea leads to another and then another and then, something new is born. Initially, I simply wanted to write about Pretzel and our very special bond. He was such a lovable little dog – exuberant, funny, but so filled with anxieties that I constantly had a need to protect him from his numerous fears. But, as I explored his long life lived in two continents, I realized that Pretzel’s story had many underlying themes, particularly that of immigration – Pretzel’s, my family’s, other immigrants too, and my own. His story also included our Maltese, Bailey, who too, had immigrated with us from South Africa. But, whereas Bailey embraced his life in the USA wholeheartedly and was always excited about new possibilities, Pretzel feared anything new. Pretzel was routine-bound. He could not accept change. Eventually, he was in such despair that he refused to eat or drink. There were times that he had to be fed by a drip. Eventually, our vet felt there was no other alternative but to put him on Prozac. Pretzel then lived happily to the age of twenty. So by exploring Pretzel’s new life in the USA, I was exploring my own immigration too, and thinking about immigrants in general and how their stories were similar and different. I also thought about how people attached to the so-called past-perfect (which was not all that perfect) are unable to value the present or feel optimistic about their possibilities in the future. And I was thinking about creativity. Today, more than ever, the need for intelligent, creative, versatile, independent thinking is extremely urgent. Adapting to change is what creativity is all about and certainly what life is about. And as for Pretzel, his life finally changed because at last, he adjusted to his new circumstances. How interesting, that your cat Clio had difficulty adjusting to immigration too. Pleased you found inspiration from Pretzel’s story to ponder on Clio’s similar adjustment problems. Your chance now? I look forward to reading Clio’s immigration story but no pressure. Thanks for your comments, Traude! Pretzel on Prozac is probably my favorite of your books. It goes way beyond a dog story, although it is a funny and poignant dog story, too. But it is just as much about people, about their anxieties, their politics, their quirkiness. Reading about it here makes me want to read it again. Thanks. Thank you for your spot-on observations, Lisa. I revisited the book because it highlights aspects of the human condition (as you say) and also because I feel it is pertinent to the ongoing stories today of immigrants (and their pets of course) fortunate enough to begin to establish homes in new countries. It also makes you think about all those who do not have such opportunities. Dear little ‘Pretzel on Prozac’, battling so to pee against spiky succulents! His story of emigrating from SA to USA; your story of that same journey, to a new land of such promise! How poignant in 2019, with so many millions of our sapient species trying daily, weekly, to find a new beginning, geographically or otherwise, You are a prime case, across so many frontiers! And your creativity bounds along invigorated, from horizon to horizon! New beginnings – perhaps the most valuable gift we can give as you say to “our sapient species trying daily, weekly, to find a new beginning, geographically or otherwise.” Little Pretzel’s story is emblematic of immigrants in general but particularly of those fortunate enough to start their lives anew. Thank you for your comments, John!